Samsung’s first Galaxy Note was the original phablet. When it was unveiled in 2011, it was universally mocked for its 5.3-inch screen and retractable stylus. Five years on, the market looks a lot different. Super-size handsets are becoming increasingly popular as consumers seek out smartphones that do it all. The Galaxy Note 7 is bigger and better than ever before, and more popular than even Samsung could have imagined. Samsung phablets set the benchmark that competitors like Apple strive to reach. And with the Galaxy Note 7, Samsung raises the bar even further. Here’s why this the Galaxy Note 7 is the best smartphone you’ll find this year — despite Samsung’s “heartbreaking” $1 billion recall. Remember when we all hated Samsung’s smartphone designs? Just a few years ago, the company predominantly made its phones out of cheap and tacky plastic that never should have been combined with a premium price tag. But that’s all changed. Samsung has mastered industrial design. With the Galaxy Note 7, it’s built the prettiest smartphone money can buy. A slim aluminum frame gets sandwiched between two sheets of glass that wrap around its edges to provide a look unlike anything offered by its rivals. It’s a work of art. Galaxy Note 7 is simply stunning. That curved glass does more than look spectacular. The unique design makes the Note 7 easier to pick up and incredibly comfortable to hold in your palm. It also makes the handset feel smaller than other phablets. In fact, that’s one of Samsung’s greatest achievements with this year’s Note. The Note 7 doesn’t feel like a giant smartphone. It’s shorter and narrower than comparable devices like the iPhone 7 Plus, even though it offers a larger display and a bigger battery. It’s also more compact than the new LG V20, the Nexus 6P and the Moto Z Force. Unlike any of its predecessors, the Note 7 is also water-resistant, with an IP68 rating that means it can be submerged in up to 5 feet of water for up to 30 minutes. It also brings back the microSD card slot, which longtime Note fans missed with last year’s Galaxy Note 5. The downside to the Note 7’s gorgeous curves and soft aluminum is that it’s a super-slippery fingerprint magnet. If you have butter fingers, you’re probably going to drop it more than you’ve dropped any other phone, which means you’ll need a decent case. As for the claims that it scratches easily, I’ve been using mine for over two weeks without screen protectors, and I haven’t noticed a single scratch. I have no complaints about Gorilla Glass 5 yet. When you buy a high-end Samsung smartphone, you know you’re going to get a good display. 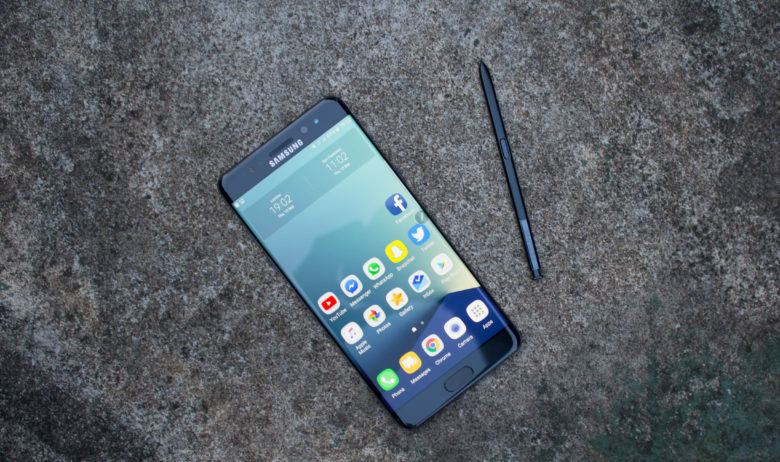 The company’s Super AMOLED panels have been widely regarded as the best smartphone screens for years now, and that remains the case with the improved Note 7. Samsung still makes the best displays. Although it maintains the same Quad HD resolution (2,560-by-1,440 pixels) that we’ve been getting from the Galaxy Note lineup since 2014, it’s now brighter and more colorful than before. That makes photos, videos, games and just about everything else even prettier. It also makes the Note 7 easier to use outside on a sunny day. 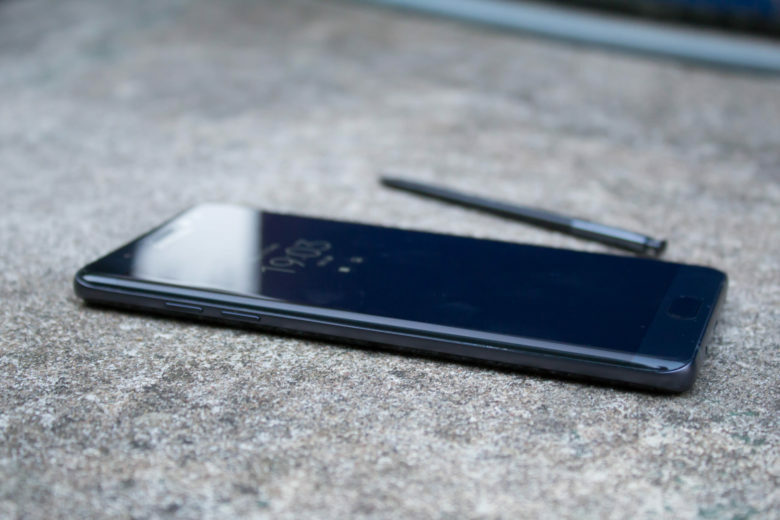 The experts at DisplayMate have called the Note 7’s display the best available in a phone. It outperforms rival smartphones in almost every category, including contrast ratio and color gamut, and it’s currently the only smartphone screen capable of displaying HDR video. Samsung didn’t just focus on making the Note 7 brighter and more vibrant, either. The display is also much more enjoyable to use in dark environments, thanks to its ability to become incredibly dim when you want it to. A blue light filter makes nighttime reading more comfortable and helps you sleep better. Samsung also makes better use of a larger display than most of its rivals, which I’ll talk about more under software. But Note 5 owners will be pleased to know that Screen Off Memo has returned, allowing you to jot things down on the Note 7 even while it’s sleeping. 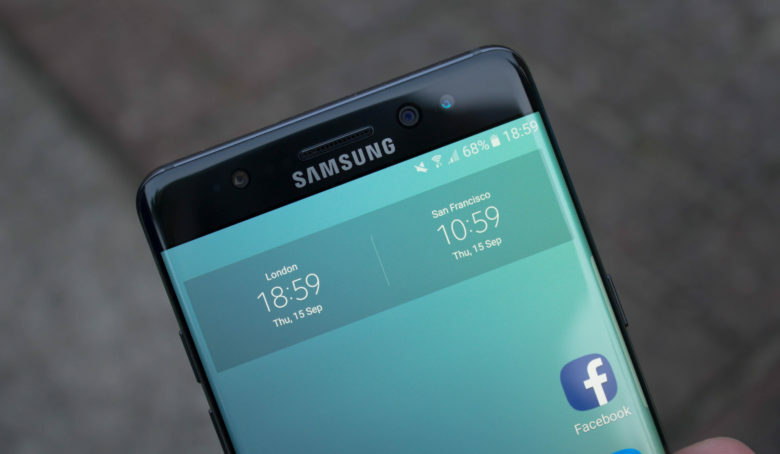 The Note 7 also adopted the Galaxy S7’s always-on display, which now supports third-party notifications. The Note 7 is almost identical to the Galaxy S7 and S7 edge internally. That means you get the same Snapdragon 820 processor if you live in the United States, or an Exynos 8890 if you live elsewhere. Plus, 4GB of RAM and 64GB of storage come standard. These things make for a smartphone that’s blazing fast no matter what you throw at it. Samsung’s user interface, which is nowhere near as bloated as it once was, is impressively smooth and snappy almost all the time, as is loading apps and games. 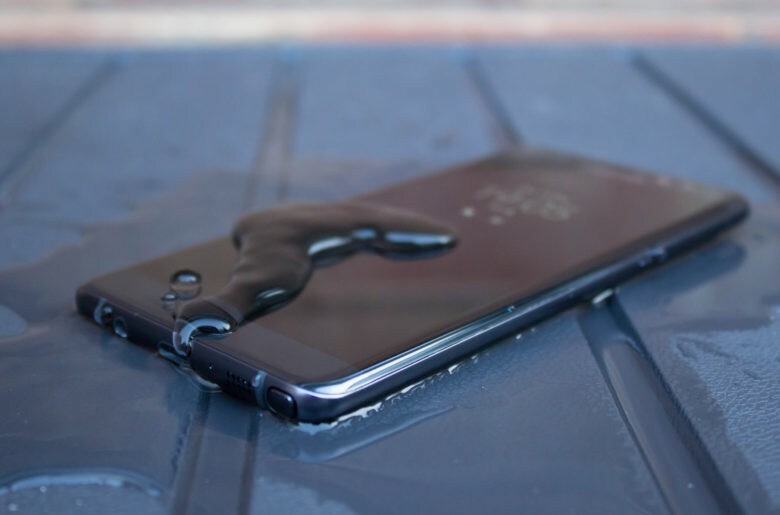 Galaxy Note 7 doesn’t mind getting wet. Running two apps simultaneously using Samsung’s excellent multi-window mode is a breeze, and switching between multiple apps while multitasking is just as slick as you would want it to be. Performance is not quite perfect, though. I’ve noticed a few stutters here and there, but they are rare, and I’m blaming them on software rather than hardware. I’ve also noticed that the Note 7 isn’t quite as quick at loading apps as my iPhone 6s Plus is, but again, I think that’s Android’s fault rather than Samsung’s. The stutters certainly aren’t enough to make using the Note 7 any less enjoyable. And unless you put it alongside an iPhone, you won’t notice that it’s slightly slower at some things. Performance from the Note 7 is exactly what you’d want from a flagship phone. Another thing the Note 7 has taken from the Galaxy S7 and S7 edge is their cameras. That makes it one of the best smartphone shooters available, with a 12-megapixel sensor, an f/1.7 aperture, phase detection autofocus and optical image stabilization. In a nutshell, the Note 7 shoots stunning photos and spectacular 4K video. Every picture you snap will be sharp and beautifully colorful, with great contrast and color accuracy. And thanks to that wider aperture, even low-light performance is impressive. One of the things I love most about the Note 7’s camera is its speed. You can launch the camera app by double-tapping the home button, and it’s ready in an instant. Thanks to insanely fast autofocus, you can home in on your subject in a fraction of a second. The best smartphone camera you can get. On the front of the Note 7, there’s a 5-megapixel camera with the same f/1.7 aperture. It’s great for snapping selfies for Snapchat — if you’re into that kind of thing — or for live-streaming on platforms like Facebook and Periscope. But I wouldn’t use it for much more than that. Samsung has made some nice improvements to its camera app for the Note 7. Simple swipe gestures give you access to the various shooting modes and filters available; handy toggles in the viewfinder let you adjust settings like HDR and flash. It’s quicker and easier to use than before. We’ll have to wait and see whether the iPhone 7 and iPhone 7 Plus can do better, but right now, there’s no doubt that Samsung is making the best smartphone cameras. I’m yet to be disappointed by the Note 7’s, and I use it almost every day. The Note 7’s battery is 17 percent larger than that of the Note 5, with a capacity of 3,500mAh. With normal usage, you’re not going to have any problems making it through a full day. I found I still had around 15 percent battery life when I went to bed most nights, and I don’t tend to turn in that early. On a couple of days, I had to top up before bedtime arrived. These were the days when I used the Note 7 more than I normally would, mostly to test features and functions for this review. Thanks to Samsung’s fast-charging feature, that wasn’t a problem at all. The Note 7 has wireless charging, too, and it’s compatible with both Qi and PMA charging pads. That makes it super-simple to keep the battery topped up while you’re working or eating dinner with a charging pad on your desk or in the kitchen. One thing you should bear in mind is that Samsung finally made the switch to USB-C for the Note 7, so all those micro-USB cables you’ve accumulated aren’t going to be much use to you anymore. However, Samsung does include a micro-USB to USB-C adapter in the box that will help — presuming you don’t lose it (it’s pretty tiny). Samsung has finally adopted USB-C.
One of the reasons many Note fans keep returning to the series is the excellent S Pen. It’s more than just a stylus; it comes with features that are actually worthwhile, and you’ll find yourself using them more and more if you give them a chance. With the Note 7, the S Pen is vastly improved. 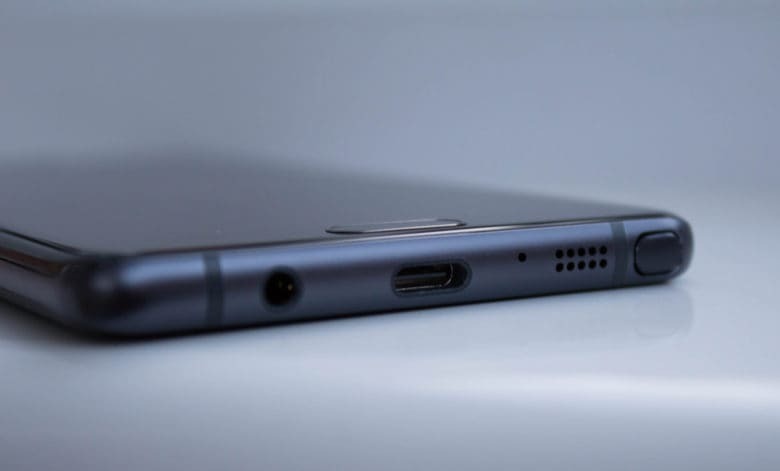 Its thinner tip provides greater accuracy, and it now boasts 4,096 levels of pressure (up from 2,048 with the Note 5’s S Pen). Taking notes with the S Pen is fun. Doing sketches to pass the time is even better. The S Pen can also be used to translate text now. Simply hover over foreign words and you’ll get the option to translate them. The Samsung stylus can also be used to edit and annotate images, to “smart select” pieces of content, to magnify things on-screen, and to perform other handy tasks. If you buy a Note 7 and you don’t give the S Pen a chance, you’re really missing out. The Note 7 is Samsung’s first smartphone with an iris scanner. It sounds like a gimmick, and maybe it’s not super-necessary — but it is nice to have, and it works well. It also offers advantages on a device like the Note 7. With an iris scanner, you can unlock the Note 7 simple by looking at it. You wake your device, swipe the screen to activate the scanner, then line up the on-screen guides with your eyes. Once you get the hang of it, it’s surprisingly fast and accurate. No, it’s not as fast as scanning a fingerprint, but it’s not slow. So, what’s the point? Well, fingerprint scanners don’t work when your fingers are wet or dirty, and that’s a problem with a water-resistant phone you might want to use around water. Fingerprint scanners don’t work when wet. This is when you’ll be glad the Galaxy Note 7 iris scanner exists. You’ll also be thankful for it when your fingerprint scanner decides it no longer wants to recognize your paw print, which inevitably happens with every phone at some point. Samsung has been working hard to improve its software in recent years, and it’s paying off. TouchWiz is no longer the bloated mess it once was. 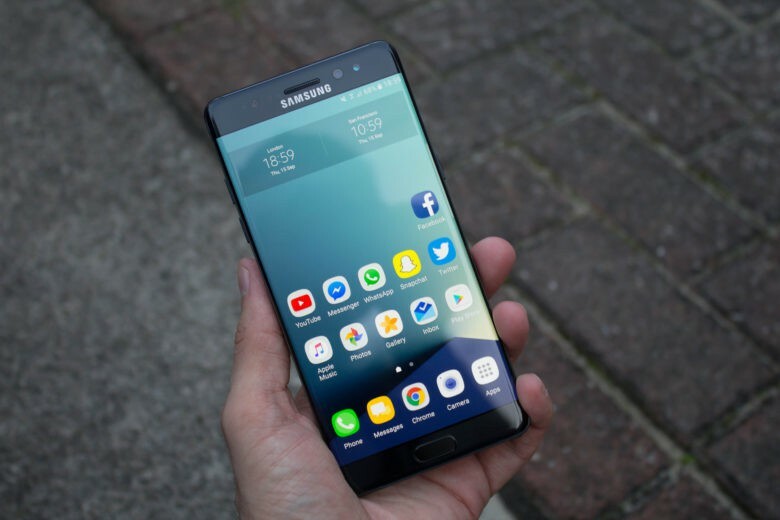 It’s actually fast and very enjoyable to use now, and the many features added by Samsung tend to be things you’ll want to use. I’ve already mentioned that Screen Off Memo is back, and that there’s now a blue light filter. Other nice features include Samsung’s theme engine, a secure folder for sensitive content, and several power-saving modes. You also get all the customization options you would expect. There was a time when I tried to avoid TouchWiz — much like everyone else — but it is quite possibly my favorite third-party Android experience now. Yes, there’s still some bloatware, but it’s not enough to lead to an unpleasant user experience. Samsung’s smartphone division has been on a roll for a while now, and it continues with the Note 7. It’s the prettiest, most enjoyable smartphone of 2016 so far, with an outstanding display, a spectacular camera, great performance and excellent software. You should buy this phone. Sadly, you can’t buy one right now. 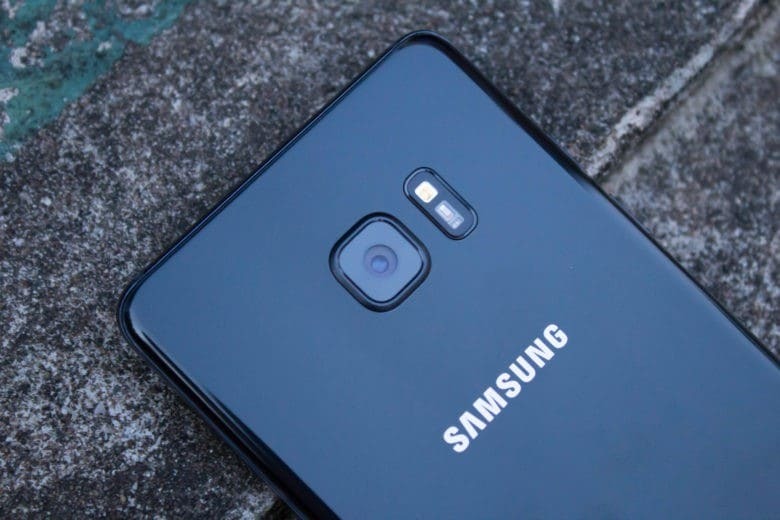 Thanks to a battery fault, which has forced Samsung to recall all 2.5 million units sold so far, sales are on hold worldwide while existing customers get their handsets replaced. The good news is, the Note 7 is coming back. When it does, it will continue to be unbeatable. I can’t think of another smartphone you can buy today that offers so much in such a magnificent package. Don’t even consider anything else; hold onto your cash until the Note 7 goes on sale again and get one.